From its humble beginnings in Hotel Equatorial, Kampachi has risen to fame serving authentic and high quality Japanese food. 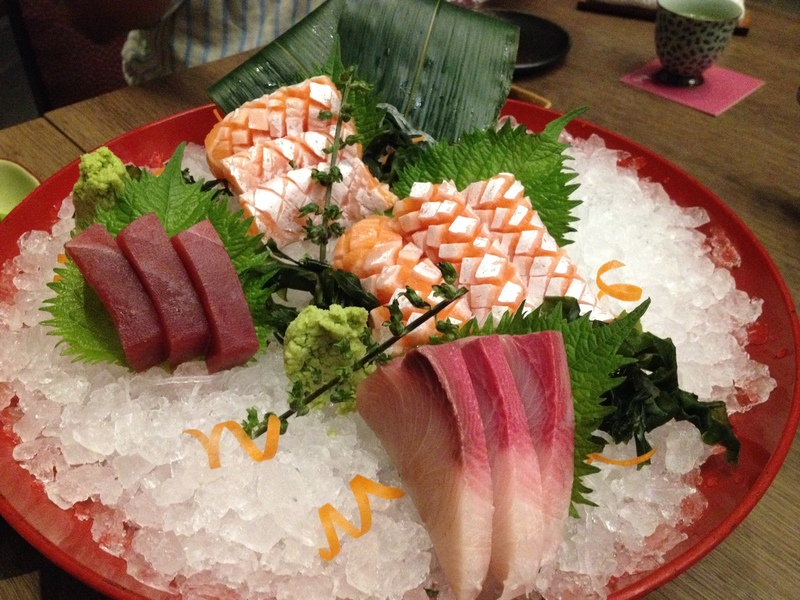 To this day, Kampachi has branched out to a few locations around Kuala Lumpur. This Kampachi outlet which is located at The Troika will bring you back to its much-lauded days at Hotel Equatorial. When we arrived, we were greeted by a wide selection of green teas. I never knew that so many different types of green tea exists! At the end, we settled for the Kirara Rice Tea (RM18). It was fragrant with a lingering flavour of toasted rice. To start off, we had the Edamame (RM15). 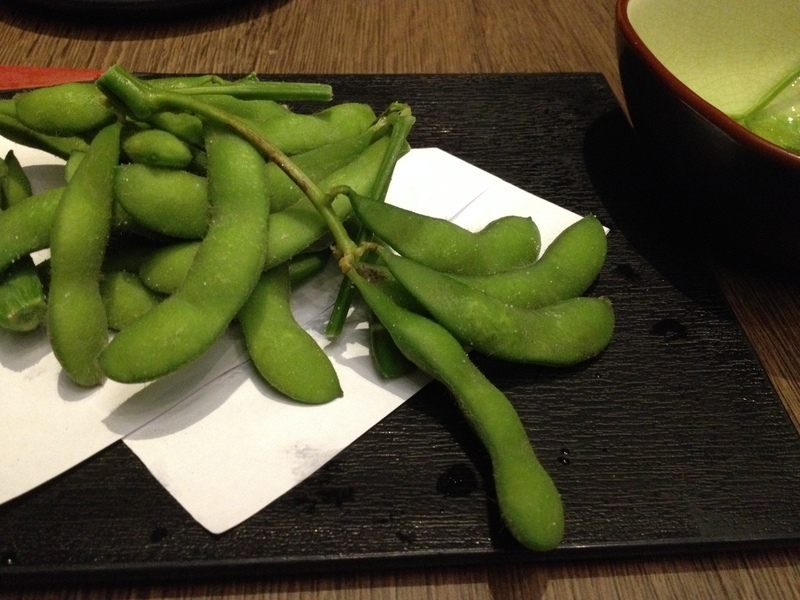 The Edamame at Kampachi was presented with its stem like a bunch of grapes! I have never seen Edamame presented like that before but it is definitely fresh and tasty with a hint of salt! The Salmon Belly (RM 108 for 6 pieces), Tuna (RM90 for 3 pieces) and Yellowtail (RM72 for 3 pieces) sashimi was placed delicately on a bed of ice to maintain its freshness. I was told that the sashimi at Kampachi is air-flown from the Tsukiji fish market in Tokyo. Overall, the sashimi was very fresh and was sliced with attention to detail. Absolutely divine. 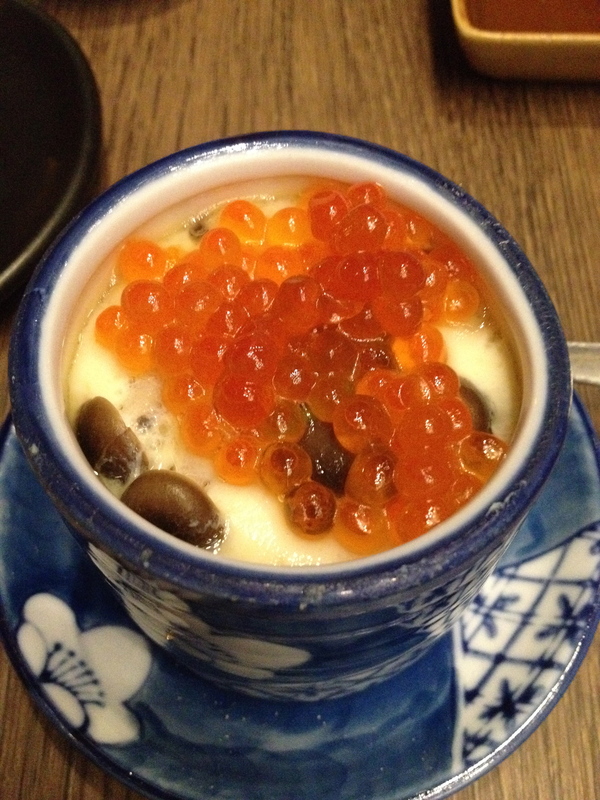 I ordered the Ikura Chawanmushi (RM26). Topped with Salmon Roe, the steamed egg was smooth and silky. How I wish that I could find Chawanmushi as good as this in Perth! 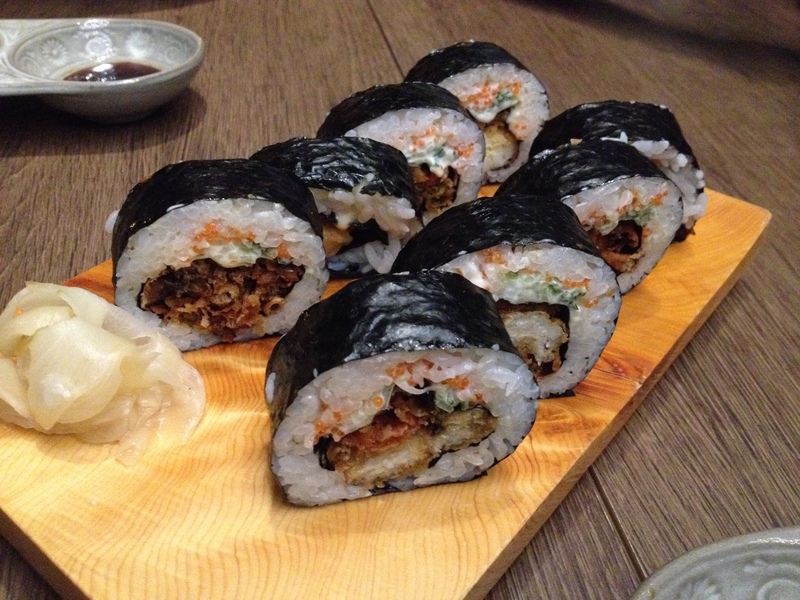 The Soft Shell Crab Roll (RM53) arrived. One bite and it was crunch crunch crunch together with the fresh flavours of the sushi rice and the seaweed. 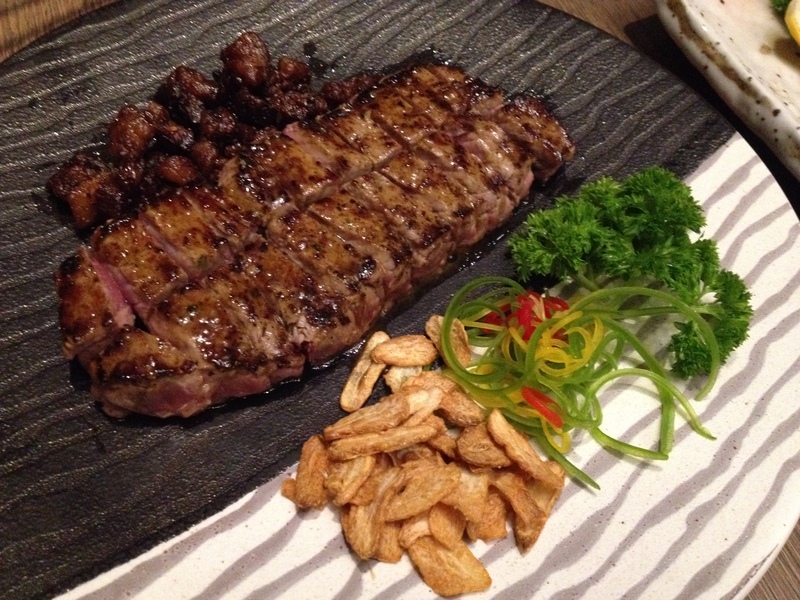 We had the Hotate (RM68) and Kuruma Ebi (RM57) Teppanyaki (Scallops and Prawn) and a Sirloin Steak Teppanyaki (RM110). 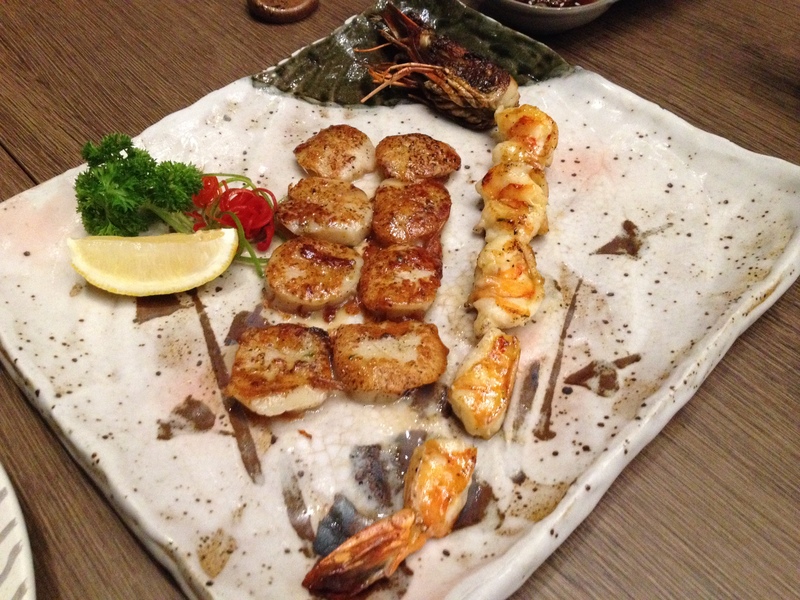 The Scallops and Prawns were very fresh and was cooked to perfection. The Ribeye was cooked perfectly to medium and was very juicy and tender. Together with the beansprouts, it was full of flavour. 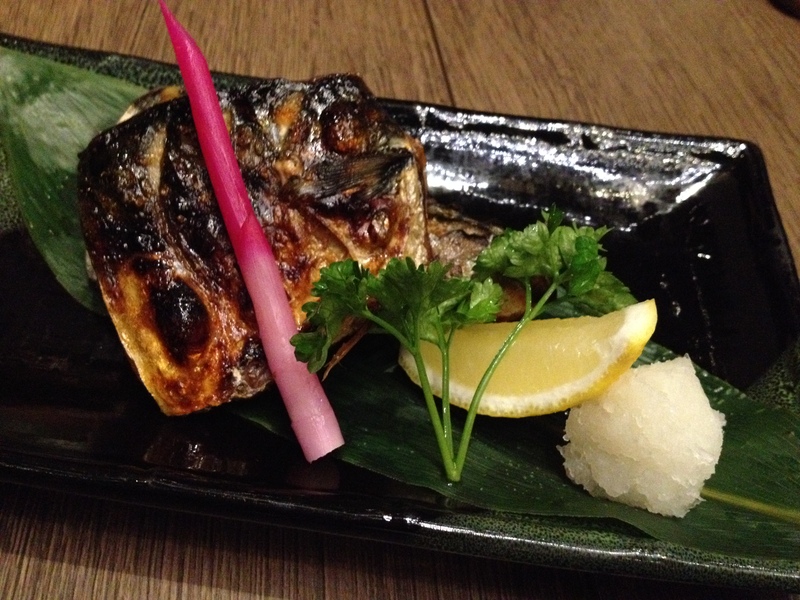 We shared the Grilled Saba/Mackerel (RM 34) and the Hamachi Jiru (RM26). The mackerel was grilled to perfection and was tasty. The Hamachi Jiru is Yellow Tail Fish Head with Special Miso Soup. 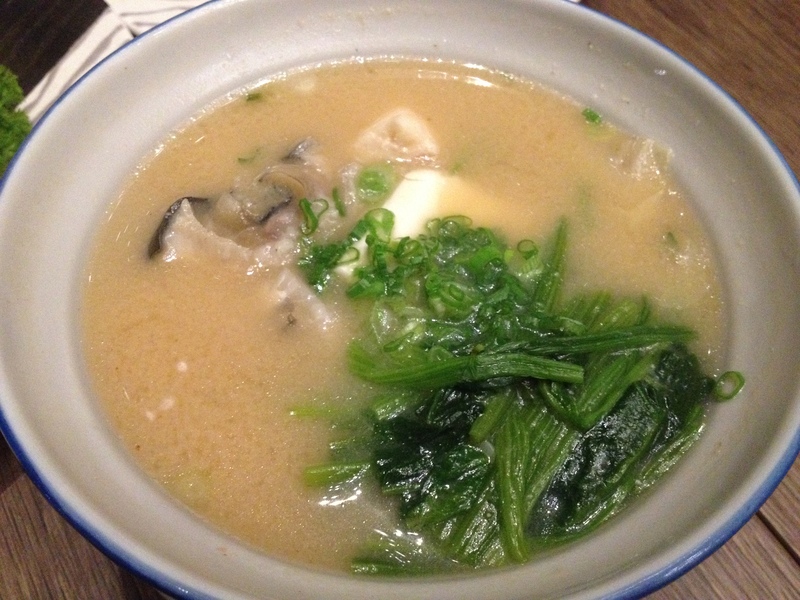 It is a clear broth of fish stock consisting of vegetables, tofu and a generous slab of fatty Yellow tail fish head swimming in the soup. It was absolutely delicious. We shared the Pan-Fried Teppanyaki Pancake (RM22). The Pan-Fried Teppanyaki Pancake was lovely. 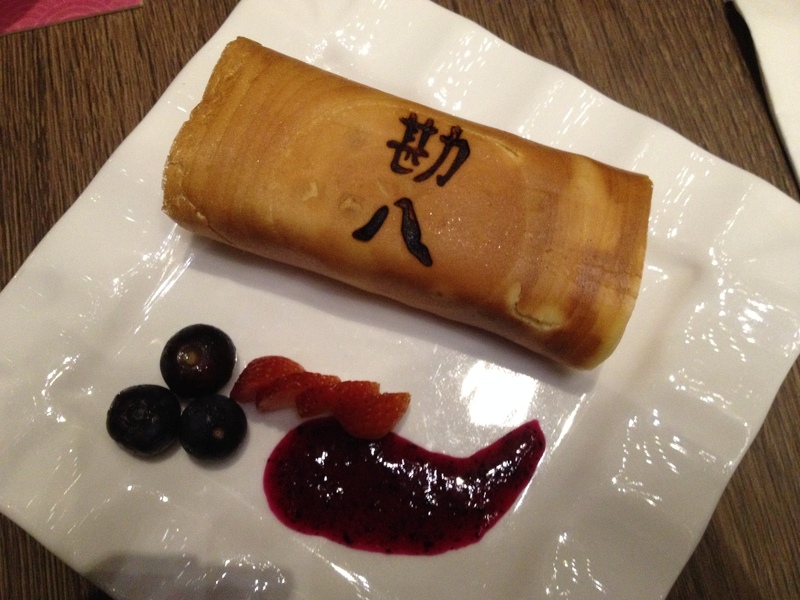 The outer layer may be a bit hard but it is soft and creamy in the inside from the vanilla ice cream. It was a great dessert to end the night! To finish off our dinner, we were given complimentary Hoji Cha, which is a stem roasted green tea. It is said that it is best to consume Hoji Cha after a meal for its cleansing properties. Besides Kampachi, there are also a few eateries that is worth going to at The Troika. To name a few, Cantaloupe and Strato for sky high dining with views of the twin towers and Acme Coffee and Bar for some good coffee. How I wish I could stay longer to try these places out but I am sure there will always be a next time! And yes, I highly recommend Kampachi for fine and authentic Japanese food. Oishii!